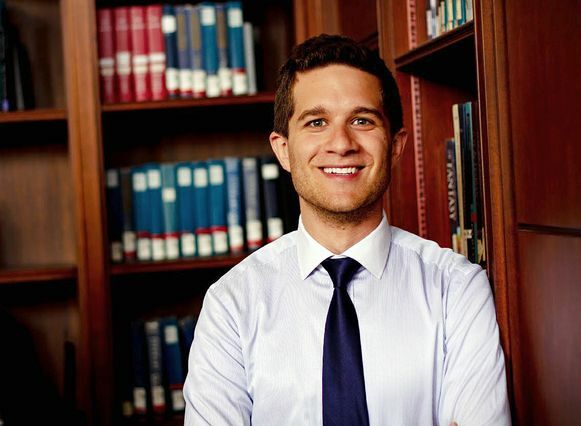 Akiva Nemetsky credits his undergraduate years at UCLA with helping him earn one of the Knight-Hennessy scholarships. Akiva Nemetsky, who graduated from UCLA in 2018 with a degree in film, television and digital media, has won a prestigious Knight-Hennessy scholarship, the largest endowed graduate scholarship in the world. Founded in 2018, the Knight-Hennessy scholarship fully funds graduate degrees at Stanford for up to 100 students each year from around the world. The 2019 cohort, which was announced March 5, represents 37 different degree programs across the university, including music, medicine and international policy. The program aims to develop an interdisciplinary community of future global leaders to address the world’s most complex challenges through collaboration and innovation. Nemetsky, a 24-year-old from Hollywood, Florida, credits UCLA with broadening his academic interests and introducing him to law and business in addition to his passion for the arts. “I don’t think I would’ve had the motivation or might not have valued what degrees in law and business would bring me in my career if I didn’t have such a wide variety of learning opportunities at UCLA,” he said. As a Knight-Hennessy scholar, Nemetsky said he will pursue both law and M.B.A. degrees, focusing on the entertainment industry. His goal is to work in strategic planning at a major studio or television streamer and one day found his own media company. When he found out that he had been awarded the scholarship, Nemetsky said he felt both “ecstatic” and also a sense of great responsibility. “It's a tall order, but I'm honored and humbled to be given the opportunity to fulfill it,” said Nemetsky, who minored in entrepreneurship and philosophy at UCLA. During his sophomore, junior and senior years at UCLA, while maintaining a full course load, he was director of business operations and foreign sales at BoulderLight Pictures, an independent production company and international sales agency. After graduation he began working in branded entertainment and marginal media at Brian Grazer and Ron Howard’s Imagine Entertainment. Nemetsky said he was attracted to the Knight-Hennessy scholarship in part because it brings together scholars from a wide variety of backgrounds and interests who can inform and inspire each other’s perspectives on their work. 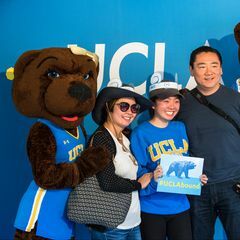 To other UCLA students considering applying to highly competitive scholarships like Knight-Hennessy, Nemetsky urged them to not be intimidated. He overcame his own self-doubt — at one point he was convinced that the review committee would laugh at his application — by focusing on the unique contributions he could make. The UCLA Scholarship Resource Center will host an information session about the Knight-Hennessy scholarship on May 20. For more details, visit scholarshipcenter.ucla.edu or contact Rebecca Blustein, rblustein@college.ucla.edu. 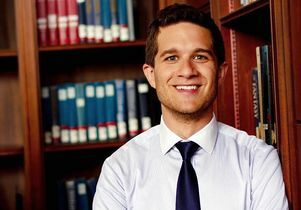 Akiva Nemetsky, who graduated from UCLA in 2018.